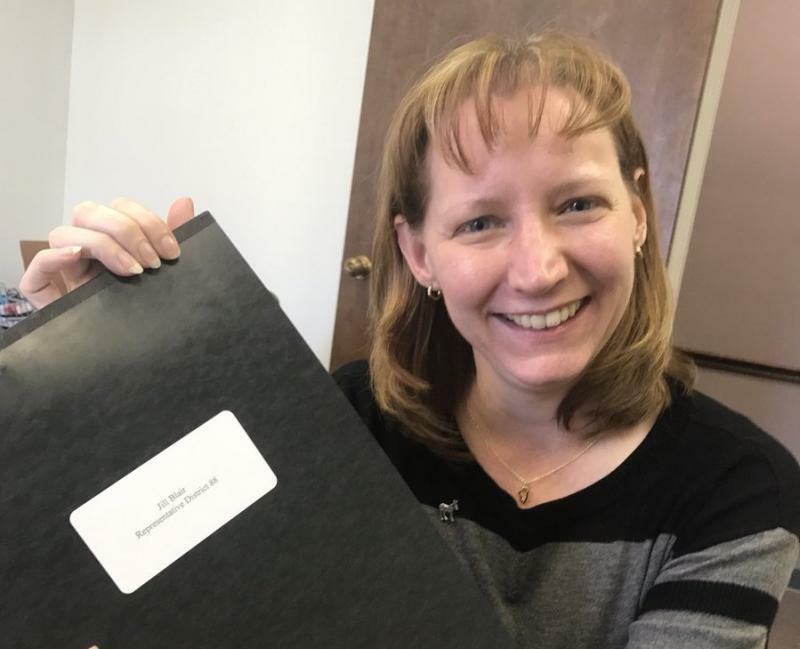 Democrat Elizabeth Johnston has filed her petitions to run for McLean County Board against incumbent Republican David Selzer. Their district is in northeast Normal. 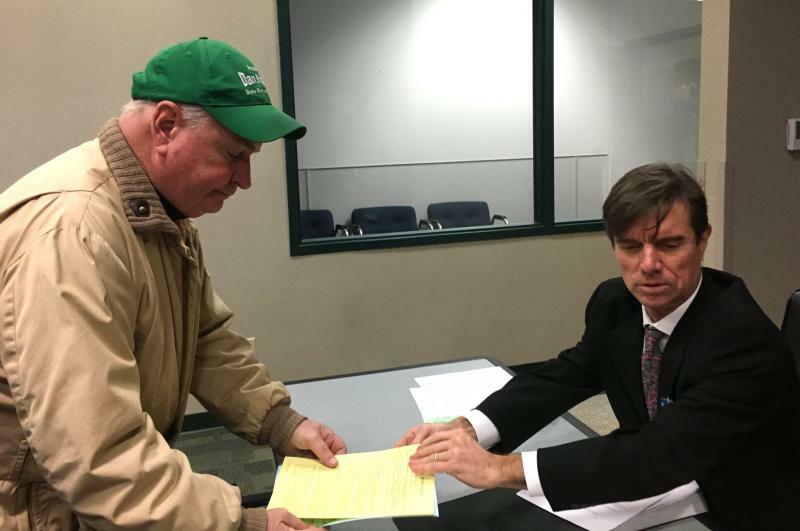 Monday was the deadline to file nominating petitions to get on the March 20 primary ballot. In McLean County, 11 of 13 races are contested, including at least three head-to-head primary matchups for County Board and several three-way races next November. 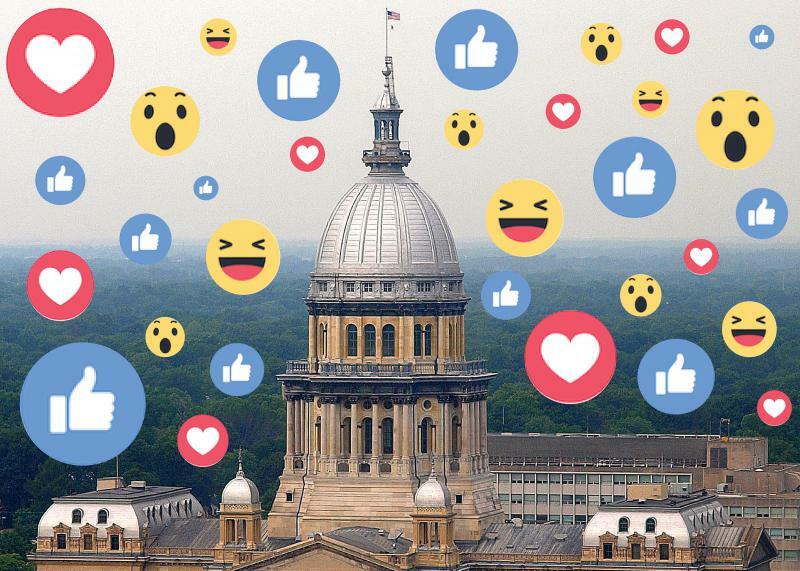 The increased competition is due in part to an energized Democratic Party that’s fielded candidates in several races, including the Illinois 105th and 88th House Districts, for McLean County Clerk and seven of the 10 County Board seats on the ballot. Many of those candidates are women, part of a surge in women’s activism—particularly among political first-timers—sparked nationally by the election of Donald Trump in 2016. “We have challenging decisions facing our county which will be best tackled with compassionate leadership,” said Democrat Elizabeth Johnston, a social worker and first-time candidate from Normal who became involved in local politics after the 2016 election. Johnston will challenge incumbent Republican David Selzer for the McLean County Board District 5 seat. Jill Blair of Bloomington, who is Republican state Rep. Keith Sommer’s first general election opponent in a decade. Nikita Richards, who will challenge incumbent GOP County Clerk Kathy Michael. Sharon Chung, who along with Libertarian Bennett Morris is challenging GOP incumbent Ryan Scritchlow in County Board District 7 in near-east Bloomington. Shayna Watchinski, a primary challenger for incumbent Democrat Paul Segobiano in County Board District 8 on Bloomington’s west side. Libertarian Steve Suess would face the winner in November. McLean County Board District 7 candidates, from left, Bennett Morris (Libertarian), Ryan Scritchlow (Republican incumbent), and Sharon Chung (Democrat). The Libertarian “candidates are running on a number of similar platform issues addressing several problems in McLean County, including the county budget, local government accountability and ensuring public access to McLean County Board meetings,” said Morris, who is also chair of the McLean County Libertarian Party. Ten McLean County Board seats are up for election in 2018, and all but one is headed for a contested primary or general election, according to the latest candidate filings. County Board Vice Chair Jim Soeldner, a Republican from Ellsworth, will face a GOP primary challenge from J Snyder in District 2. 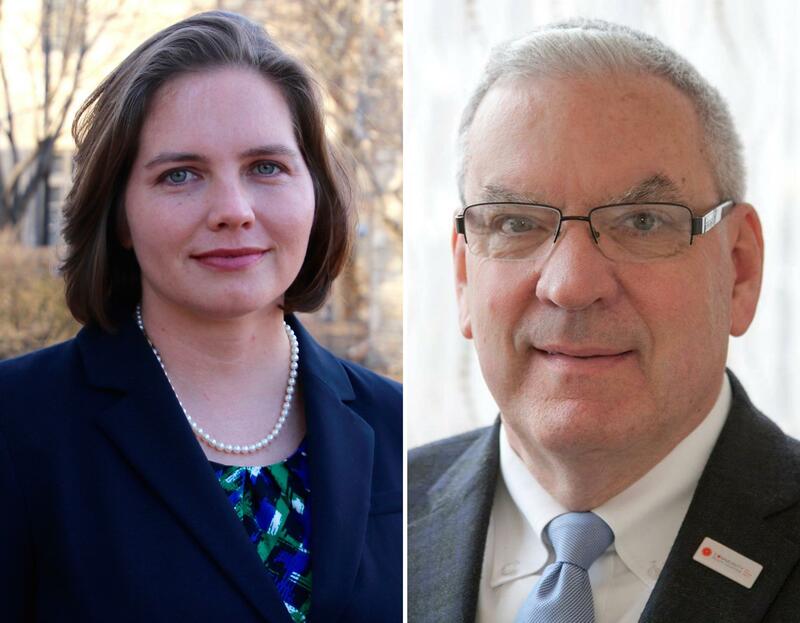 The winner would face Democrat David Siebert and Libertarian Paul Michael Enerson in November. Jeremiah Houston, the mayor of Carlock, and Colfax farmer Gerald Thompson will square off in the Republican primary for District 1, which includes a large geographic chunk of northeastern McLean County. District 1 incumbent Republican Don Cavallini is not seeking re-election. And Segobiano will face Watchinski, an active community organizer, in District 8. There will be many more contested county-government races on the November general election ballot, with four Democrats challenging GOP incumbents and eight Libertarians on the ballot. The McLean County clerk’s website maintains a current list of all candidate filings. That includes another three-way race for County Board District 9 on Bloomington’s south side, with Republican Jeremy Bradley, Democrat David Parker and Libertarian Richard Bennett. Incumbent Democrat Erik Rankin is not seeking re-election. Among the eight Libertarian candidates who’ve filed are Lex Green, challenging GOP incumbent Treasurer Rebecca McNeil. Green is the Illinois Libertarian Party chairman. State Rep. Dan Brady, R-Bloomington, and GOP primary challenger David Paul Blumenshine from Normal both filed to run for the 105th House District, which includes parts of Bloomington-Normal. Brady has not faced a primary challenge since winning his seat in 2000. Democrat Ben Webb of Normal has filed and would face Brady or Blumenshine in November. State Rep. Keith Sommer, R-Morton, will run for re-election in the 88th House District, which includes portions of south Bloomington, McLean, Danvers and Stanford. Also filing in that district was Blair, the Bloomington Democrat. Blair would be Sommer’s first general election opponent since 2008. Chris Howick, a Libertarian running for County Board District 3, has canceled his plans to also run in the 88th District. Three Republicans and one Democrat have filed in the 101st House District, which includes LeRoy, Heyworth and Farmer City. The Republicans are Todd Henricks from Cerro Gordo, Dan Caulkins from Decatur and Randy Keith from Monticello. Jennifer McMillin from Decatur is running as a Democrat. Incumbent state Rep. Bill Mitchell, R-Forsyth, is not seeking re-election in the 101st District. State Sens. Bill Brady, Jason Barickman and Chapin Rose are all uncontested for re-election. U.S. Rep. Rodney Davis, R-Taylorville, filed to run for re-election in the 13th Congressional District, along with Democrats Erik Jones of Edwardsville, Betsy Dirksen Londrigan of Springfield, Jonathan Ebel from Urbana, Democrat David Gill of Bloomington and Angel Sides of Springfield. U.S. Rep. Darin LaHood, R-Peoria, filed to run for re-election in the 18th Congressional District, as did GOP primary challenger Donald Ray Rients from Benson. There will be a three-way Democratic primary between Brian Deters of Morton, Junius Rodriguez of Eureka and Darrel Miller of Danvers. Candidates for next year’s elections began filing their petitions Monday, setting up at least two contested races for longtime Republican state lawmakers and another one for McLean County Board. Voters will get their first look Monday at which candidates are planning to run in 2018 for several key races in McLean County, as the window to file nominating petitions opens.